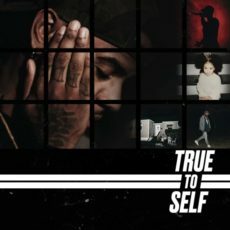 The first article I wrote for the site in October 2015 was on Bryson Tiller‘s debut album “T R A P S O U L.” He’s back with his much anticipated follow-up “True To Self.” Tiller made real waves in the game during 2016 embarking on a sold out nationwide tour (click for our review) after the release of T R A P S O U L.
True To Self gives us a similar feel musically though Tiller might have a hard time repeating the commercial radio airwave play that he received on his first go round. That said, the video for this album’s lead single Somethin’ Tells Me just dropped this week as well. With well-crafted samples from popular artists such Marsha Ambrosius, SWV and Wale littered throughout the album, Tiller has another hit on his hands from start to finish. Bryson tiller's transitions are so smooth, you don't even realize you've already listened to half the album. Bryson Tiller make music for niggaz who constantly cheat on they gal but get mad when she finally move on and find someone better. Brandon Clay serves as the publisher of PSBPopCulture.com. 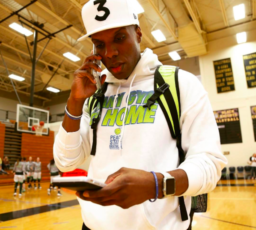 A self-professed entertainment, music and sports junkie, Clay has been on his game since picking up his first Nintendo and Sony Walkman in the early 90’s. Adding in a SLAM (Basketball) Magazine subscription in the late-90’s had him setup up for lifelong success. Clay is also a founding member of the “Luxury Boys Club” designed to stay on top of whatever is next in the world of PopCulture. You can follow him on Twitter @psbpopculture. 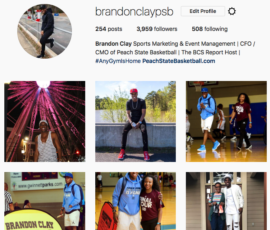 Last spring, JD Davis challenged ourselves to step up the pictures that we deliver to the masses via our social media accounts. Part of that was about the physical shape we were in while another large part was focused on our fashion. The last part that tied it all together was the quality of the actual shot that was taken. Over the past 15 months, I’ve run countless miles / sprints, lifted thousands of pounds at LA Fitness, used Looklive.com so much that it’s bookmarked on my Safari browser and employed two of the best in the photography world in Ty Freeman and Larry Rhinehart. Sidenote: Shoutout my dudes Ant Adeniyi, Adrian Potter and Justice Bramer. They’re always at the gym. I’m chasing them down! 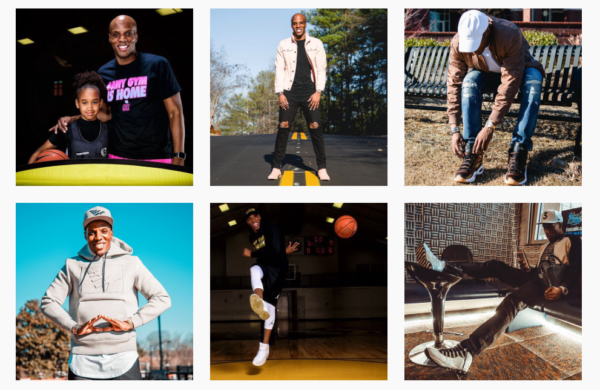 Whether it’s snapping a picture with Bre Stewart or Morgan William to showing off the latest fashion from Asos or Lifted Anchors, it’s been a cool journey to document. I think my dude JD would approve of the growth. The challenge now is to Level Up (Fabolous voice) again. I’ll be back Summer ’18 to give you the summary. I often tell my PSB team that I won’t demand anything of my team that I wouldn’t ask of myself. I remember listening to Jay-Z rap those lyrics on “Justify My Thug” off of the “Black Album” back in the early 2000’s. In March, we hosted our first event of the summer. Games tipped off at 5 pm. One of our clock keepers was stuck in Atlanta traffic. I always tell our team that no job is too big or too small. In order to stay true to those words, the first must also be last. I believe in doing whatever it takes to get the job done for my team. We all pitch in so we all win. Sidenote: Huge shoutout to my guys Jay Kohr and Geoff Lampe from BSN Sports who have our AnyGymIsHome apparel Collection on another level right now.